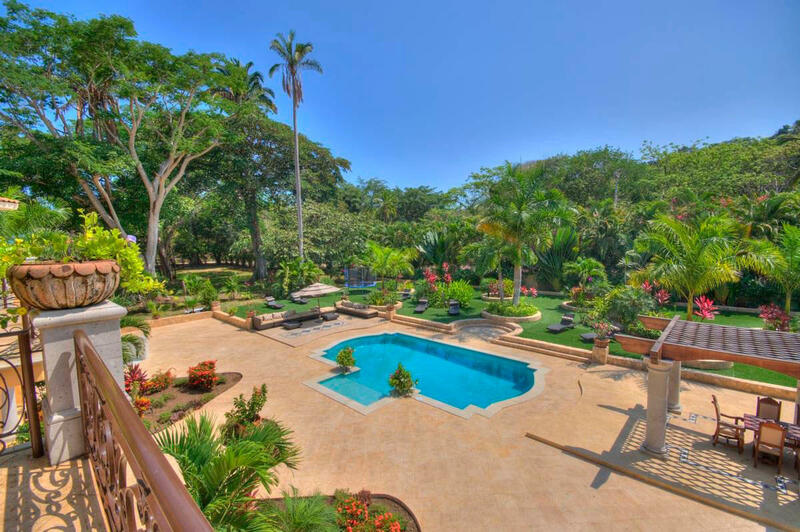 Casa de Leon is a stunning two-story Spanish villa, a unique fusion of hacienda and coastal architecture surrounded by lush, tropical landscaped gardens. 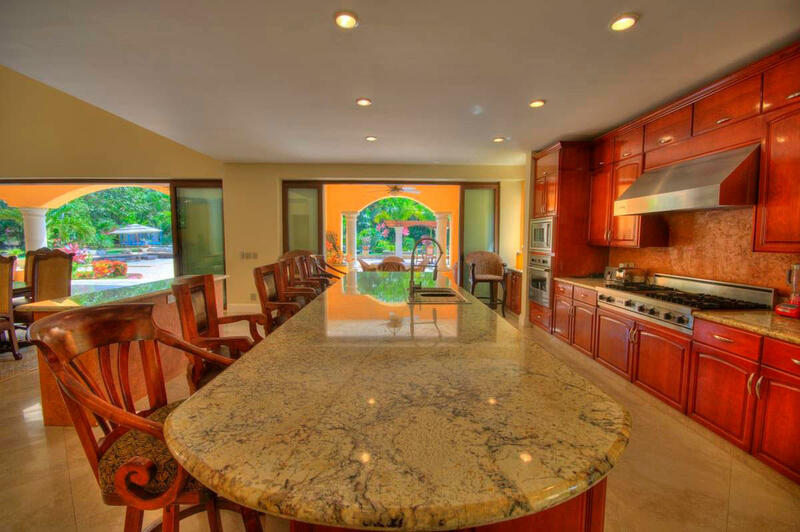 This majestic villa nestled in a private fairy-tale setting is right across the street less from the beach and just a short, leisurely walk to the quaint village of San Francisco (San Pancho), Riviera Nayarit, Mexico. 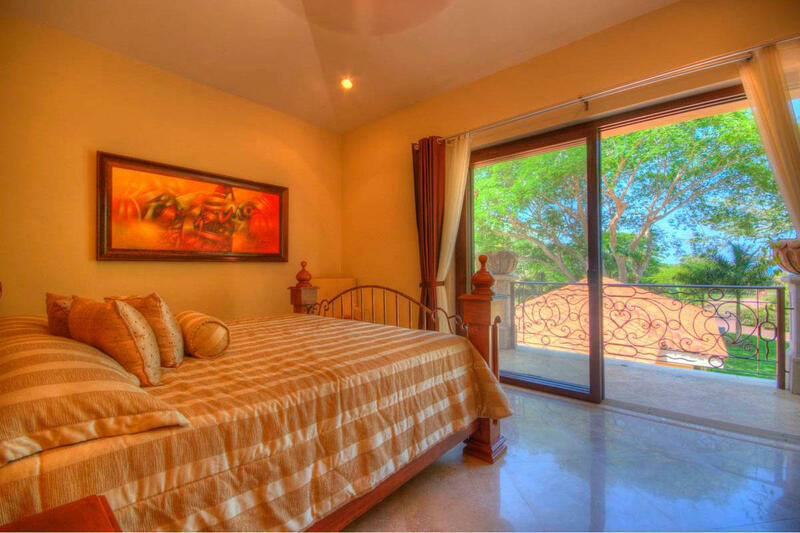 The close proximity to the beach and the town center coupled with its magnificent accommodations and the finely manicured gardens provide an incomparable oasis of relaxation and enjoyment. 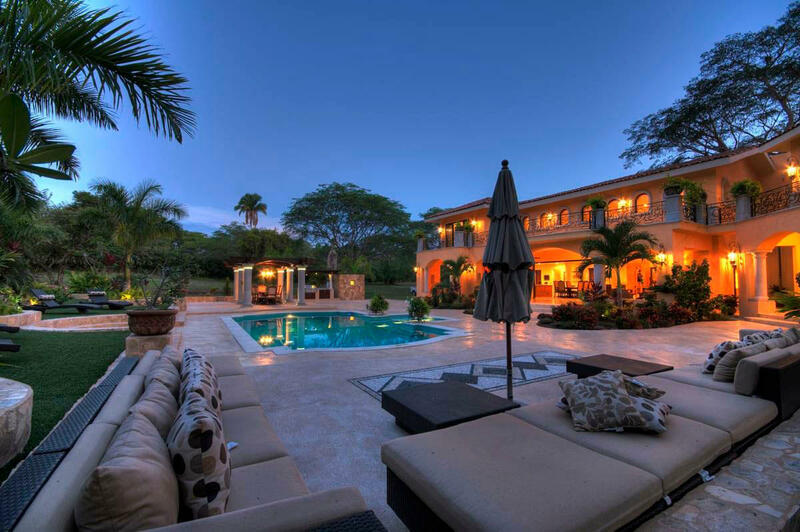 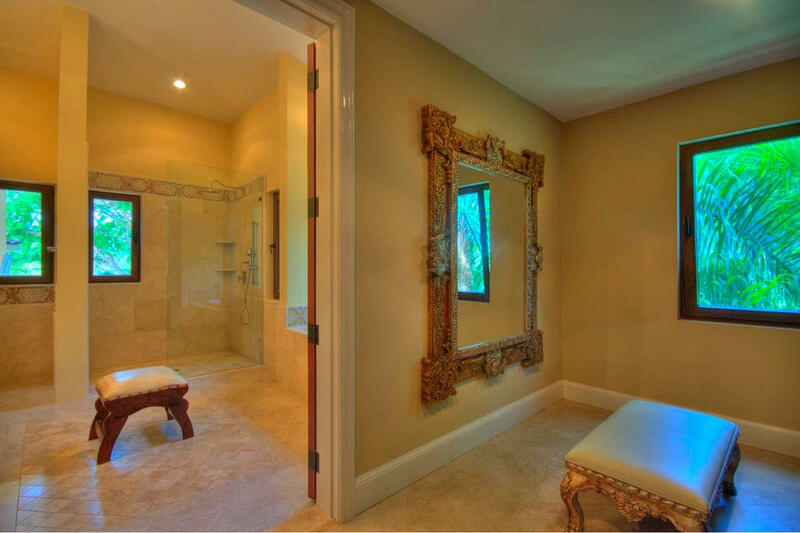 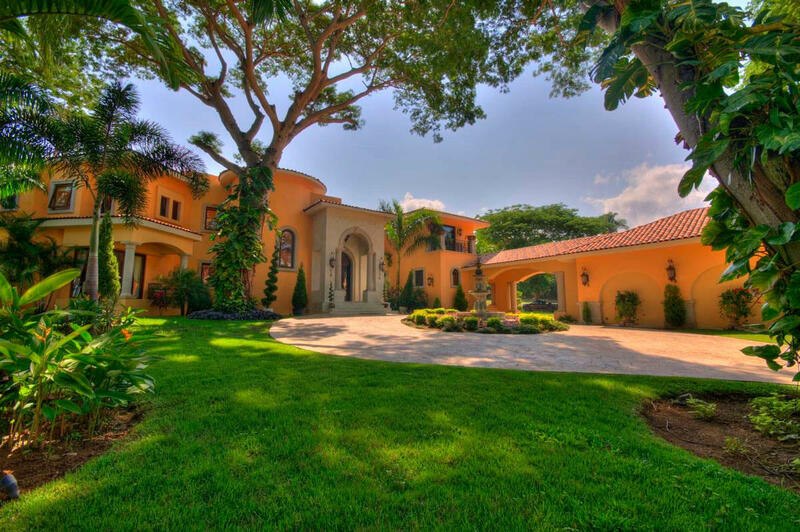 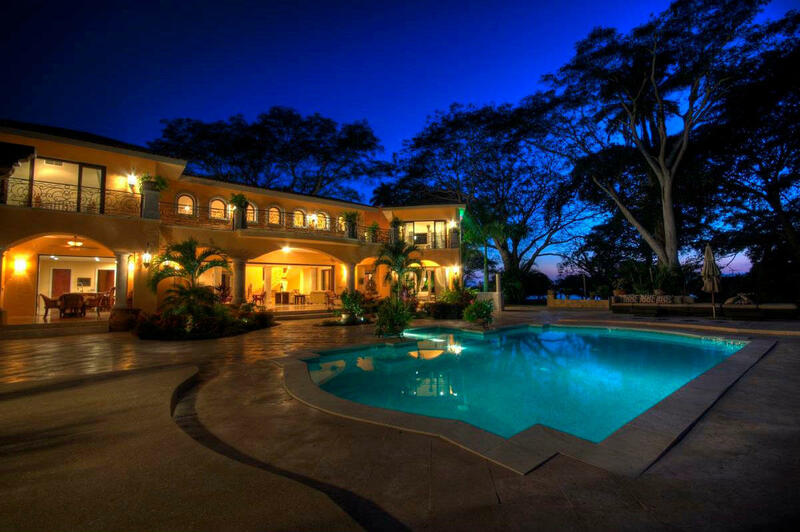 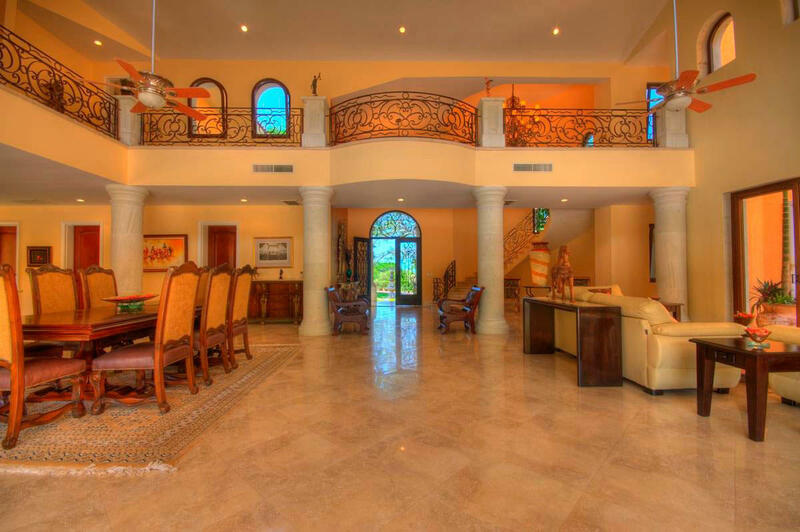 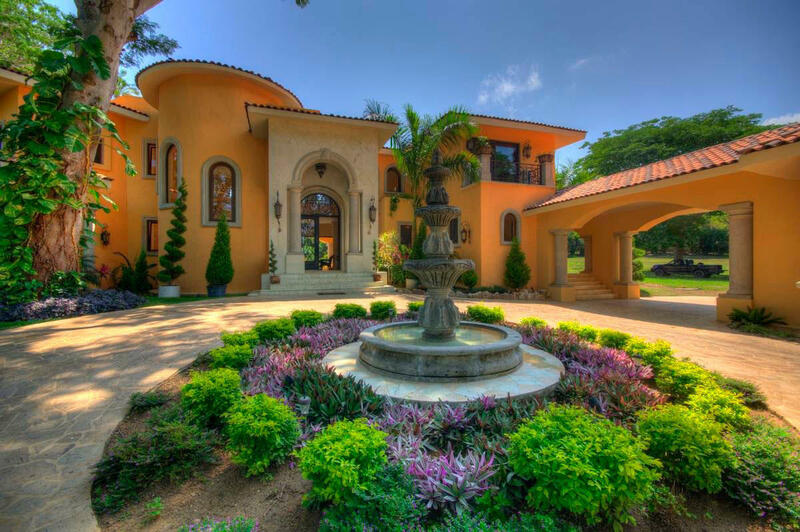 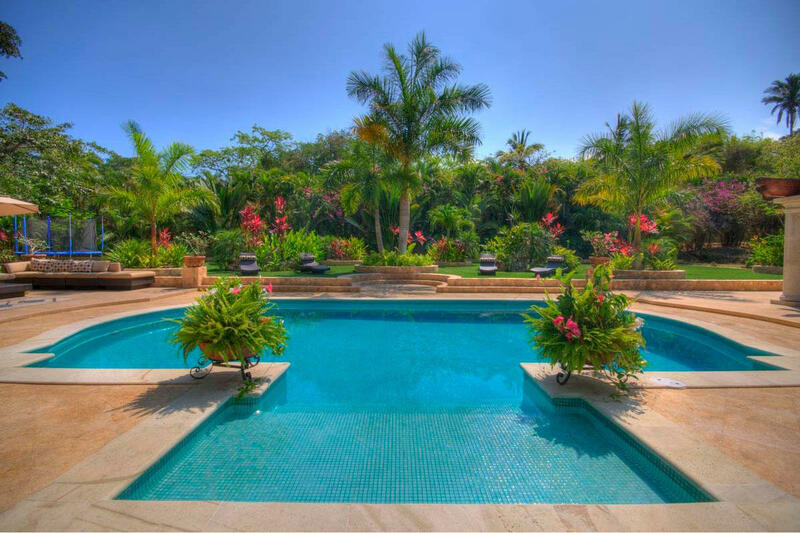 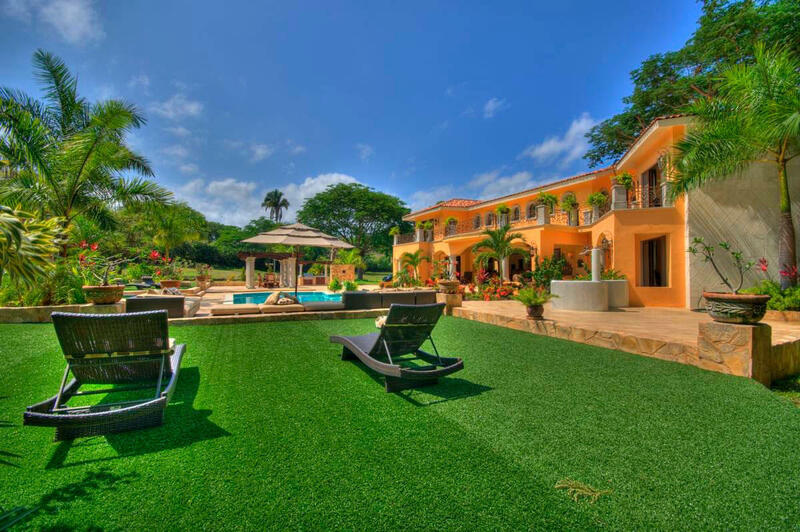 This grand 9,000 square foot villa is situated in Las Olas, a prestigious gated community in San Pancho. 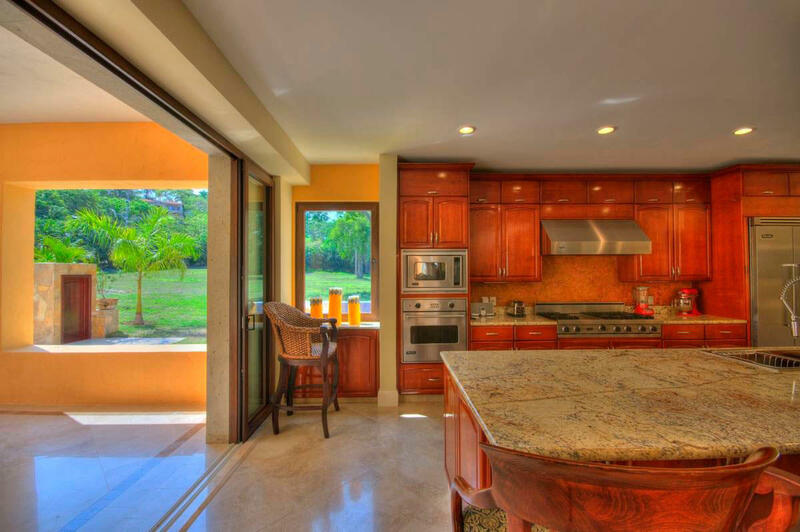 The entry-level includes one king, en-suite bedroom, office, powder room, a sizeable gourmet kitchen outfitted with Viking Professional appliances and a grand living/dining room with an enormous hard wood dining table. 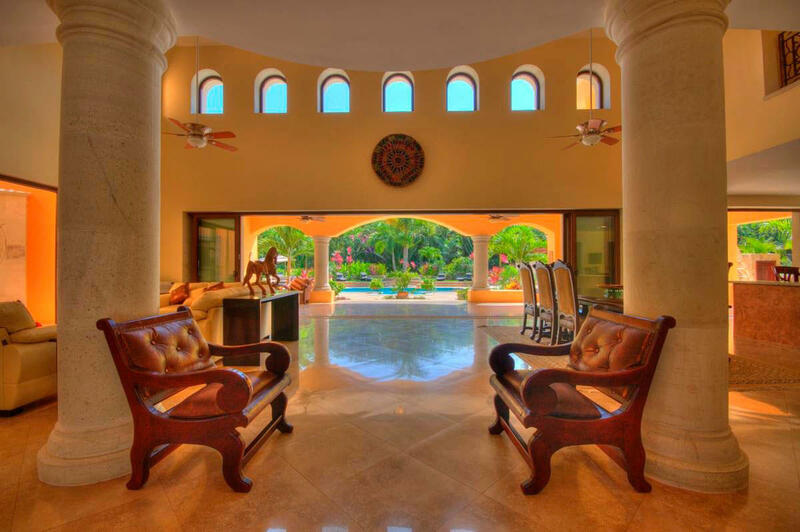 Across from the grand entry are large framed glass European doors opening out to the Mozavit Spanish-glass tiled pool and patio terrace surrounded with comfy outdoor furniture. 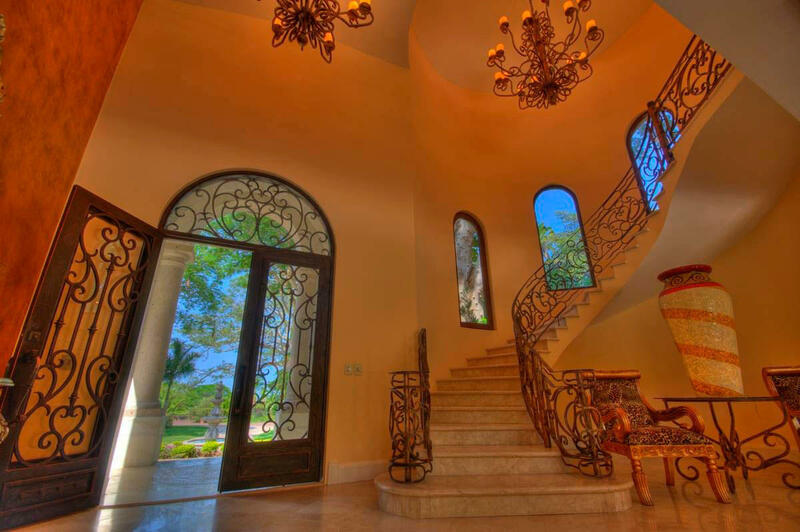 The impressive curved staircase with custom chandelier leads you to the second level encompassing three king en-suite bedrooms each with large walk-in closets. 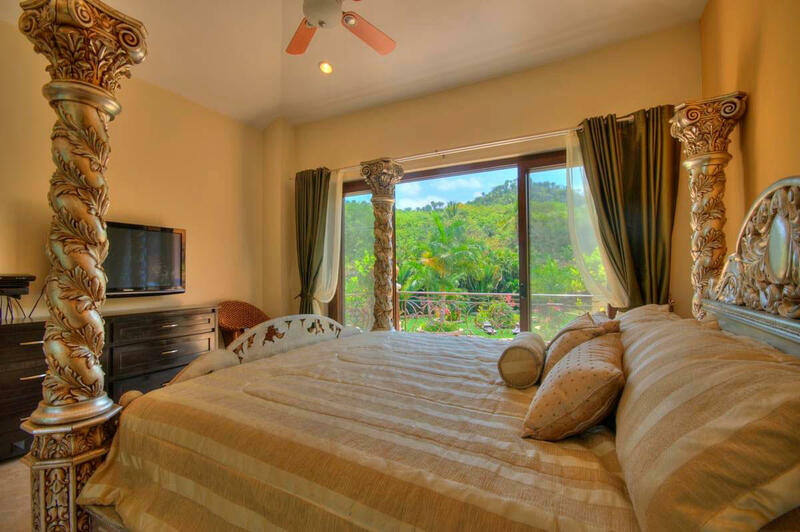 Two of the king-bedrooms open onto the spacious second-floor terrace providing spectacular views of the jungle while overlooking the sparkling tiled pool and tropical garden. 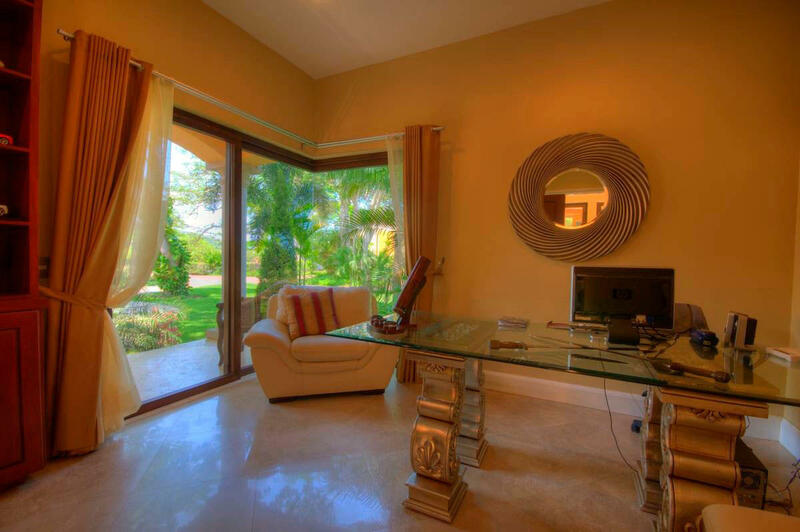 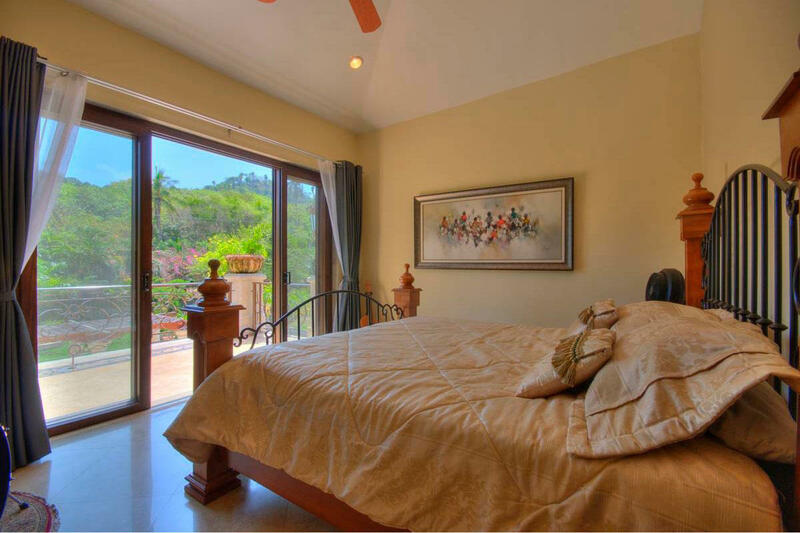 The 4th king, en-suite bedroom hosts a small patio terrace facing the lushly landscaped villa entrance. 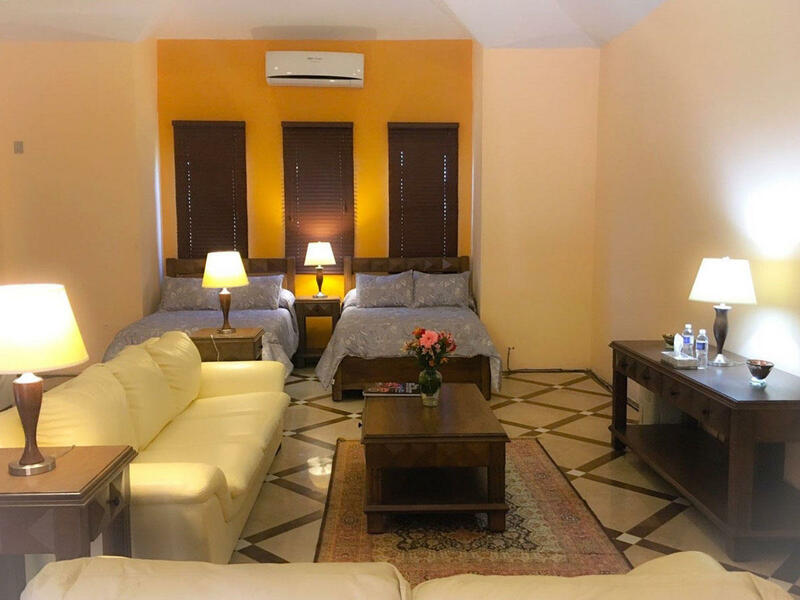 The converted detached garage is now a private chalet with two double beds, a full bathroom and sofas. 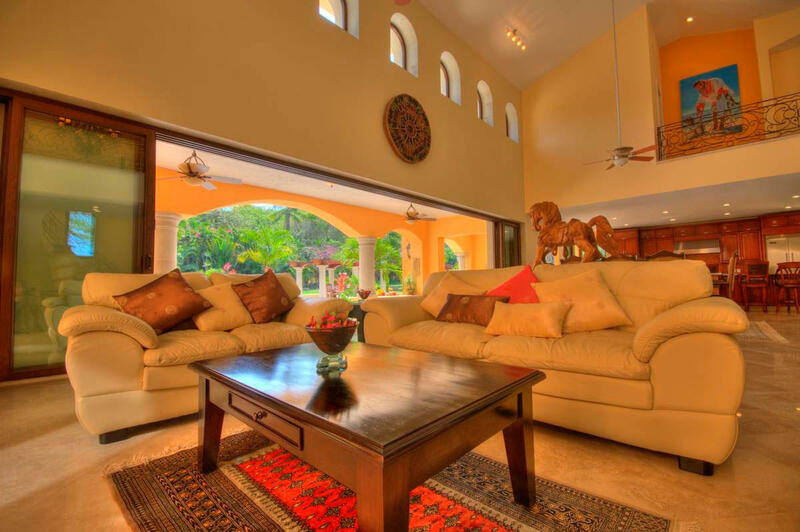 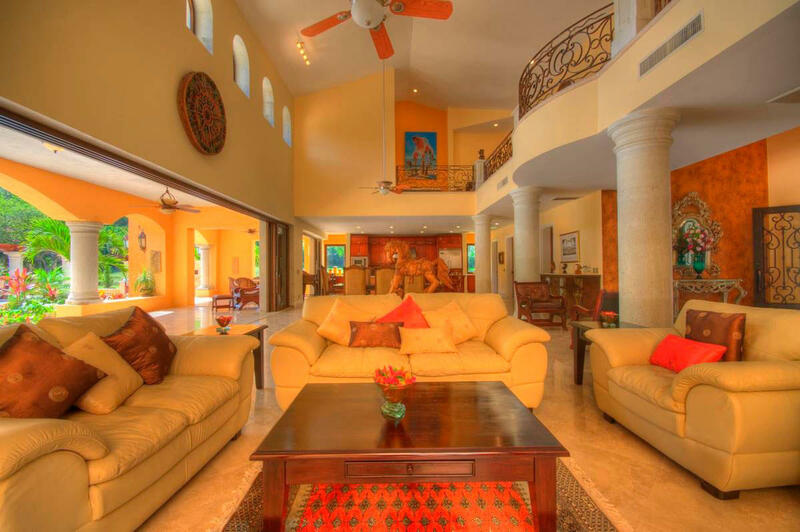 Casa de Leon affords the best that San Pancho and the Riviera Nayarit has to offer. 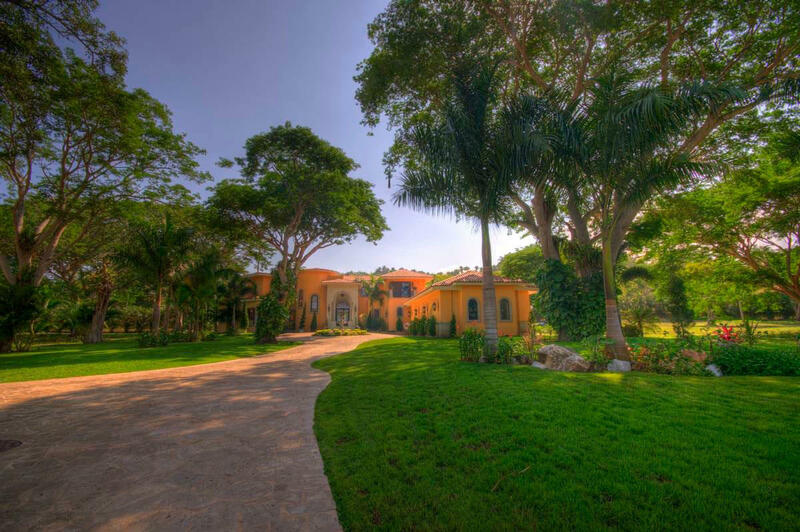 Play a round of golf at the 9 hole golf course located right across the cobbled road, enjoy a professional polo match at the world renowned La Patrona Polo Club just a few minutes away or just relax in the luxurious grounds of this stunning villa; the options for are endless.